One of the classes offered in the Food Studies program at NYU involves studying sustainable agriculture on The East End of Long Island. Besides the usual coursework, our little group got to spend three days out on Long Island, visiting all sorts of farms, and of course, eating. Friday started early visiting, of all things, vineyards. Nothing like a glass of wine first thing in the morning. I wasn't fully awake until lunch at Love Lane Kitchen in Mattituck. I went with the lobster roll and while the chunks of claw meat were sweet and delicious, the thick bread made eating this as a roll a bit difficult. I know see what everyone's talking about when they say the roll matters. Later that afternoon, we headed to Wickham's Fruit Farm. 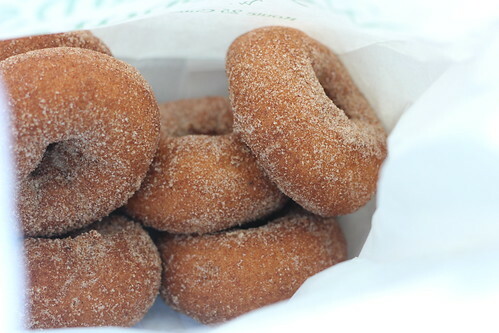 During the entire tour of the orchard all I could think about were the cakey apple cider doughnuts being made fresh up at their roadside stand. 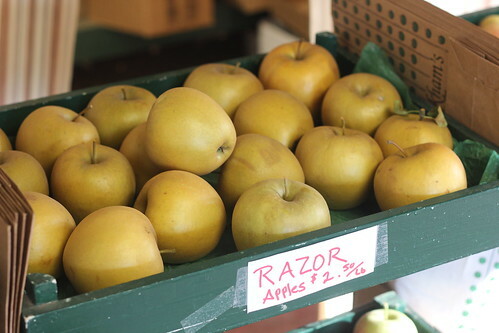 Once I got my hands on a bag of those, I spied different apple varietals for sale including "Razor." They're harder like pears and sweet--getting a bunch of these right off the tree would be perfect for so many apple treats. 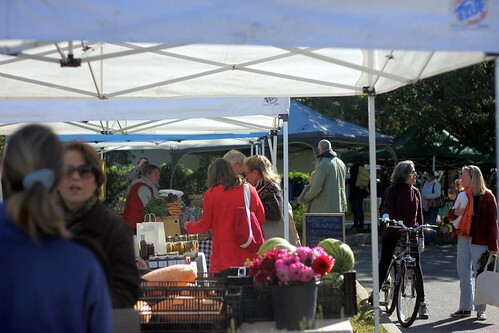 Saturday morning started early too with a visit to Sylvestor Manor before heading to the Sag Harbor Farmers Market. There I was introduced to Mecox Bay Dairy's cheeses. It's delicious enough to overcome my fear of Eataly, the only place it can be found in the city. From there on out, it was a long day. 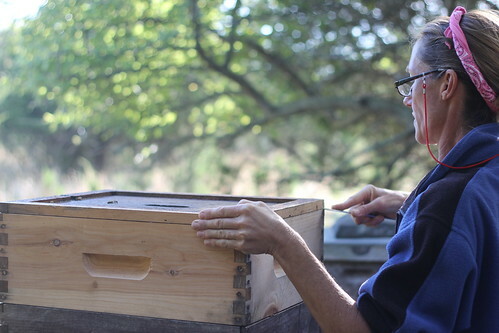 We got to meet Mary Woltz of The Bees' Needs--and yes, we all bought honey. 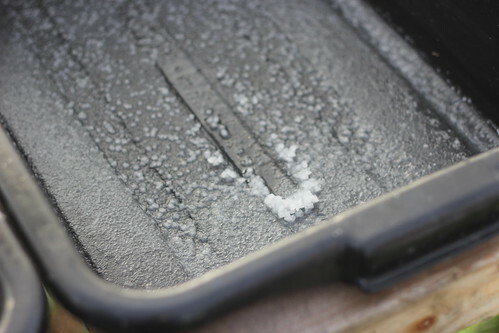 And see how exactly Amagansett Sea Salt makes its salt. And then it was time for dinner at Commander Cody's on Shelter Island. 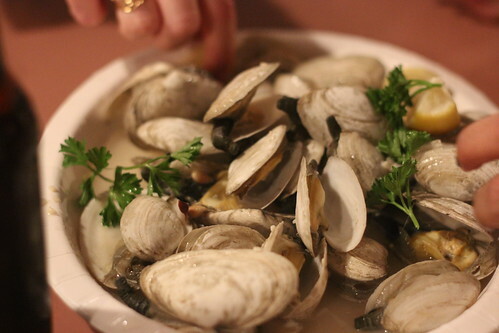 This plate of steamers was fresh and great. But I was in love with their fried chicken. It was definitely one of the best plates of fried chicken I've had in my life. 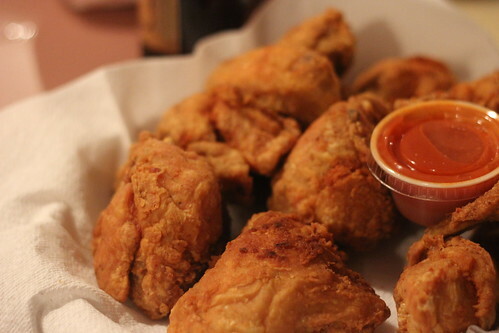 So crunchy, so moist, it made my fried chicken dreams come true. Sunday's last meal was at the famous North Fork Table & Inn. We all sat for a wonderful fancy meal and tried to act classy though three days of touring and driving was taking its toll. 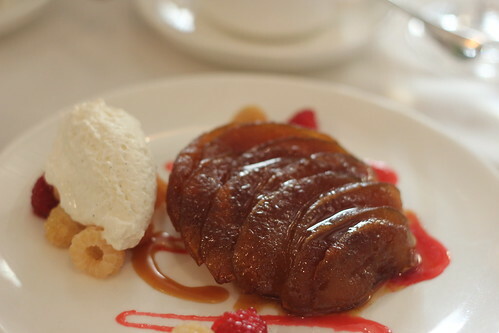 My meal ended with this Upside-Down Caramelized Apple Tart which other tarte tatins in my life couldn't hold a candle to, but there was something not on the menu that needed to be eaten. 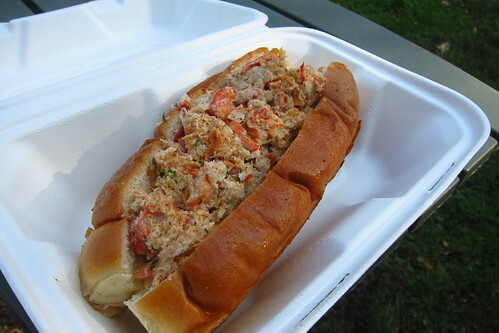 The lobster roll from their truck! Big Bobo and Sis-in-Law told me I *had* to have one, so maybe I snuck out between the salad and the entree and ate half a lobster roll outside. It was gorgeous out! I needed some alone time! 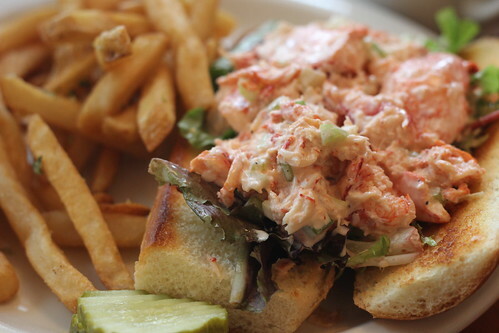 It was a really good lobster roll.